Are you in need of blessings from God,let us have your name below here so that we can join you in prayer. We know from the scripture that God hears our prayer and is ready to answer always when we call upon Him. 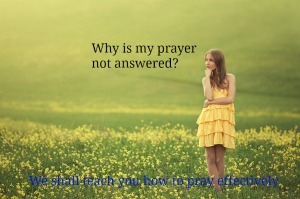 Do you have a petition or prayer request to God and want others to join you in prayers? You can post it here. I understand that you will use my information to contact me or send me the information I requested. Here is a sample for a good luck prayer that can assist you pray for the will of God to be done in your life. Copyright 2016-2018 prayerrequestministries.org. All rights reserved.